NNPC boosts fuel supply in Lagos, Abuja with 470 trucks – Royal Times of Nigeria. The Nigerian National Petroleum Corporation, NNPC, on Tuesday, said it increased its daily supply of Premium Motor Spirit, PMS, also known as petrol, to Lagos and Abuja to 470 truckloads of the commodity address ongoing scarcity. 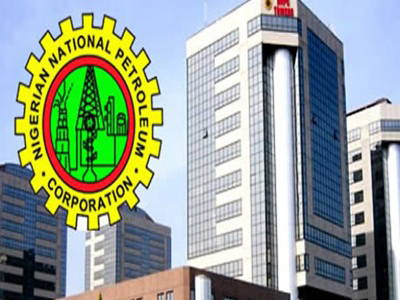 The NNPC, in a statement by its Group General Manager, Group Public Affairs Division, Mr. Ndu Ughamadu, also stated that the country’s PMS stock was been supported by supplies from the Port Harcourt Refinery as well as the Kaduna Refining and Petrochemical Company which are autonomous business units of the Corporation. Ughamadu disclosed that the NNPC has 21 days sufficiency of the commodity in its storage, translating to 750 million litres. According to him, the NNPC has increased the amount of PMS truck supplies to cities across the country, with Abuja receiving additional 100 trucks of petrol from its normal 70 trucks daily supply, while Lagos is being supplied 300 trucks of petrol daily. He said, “With the call-off of the warning strike by the Petroleum and Natural Gas Senior Staff Association of Nigeria, PENGASSAN, Monday, NNPC wishes to assure motorists that normalcy would soon be restored in all parts of the country. The NNPC and its downstream subsidiary, the Petroleum Products Marketing Company, PPMC, had a few days ago, also stated that they had increased the supply of petrol across the country to 1,300 truckloads daily to end the fuel crisis and boost fuel supply significantly. Dr Umaru Ajiya, Managing Director, Petroleum Products Marking Company (PPMC) had also stated that the NNPC is taking delivery of a minimum of one shipload of fuel on a daily basis, a trend which he said would continue until the end of the year. According to him, each of the vessels contains over 50 million litres of as petrol which is far above Nigeria’s daily fuel demand of 35 million litres. He noted that with the collaboration of the , Department of Petroleum Resources (DPR), Petroleum Products Pricing Regulatory Agency (PPPRA) and security agencies, surveillance and monitoring had been beefed up adding that the NNPC had directed that any depot or filling station found hoarding product should be sold to Nigerians free of charge.